Cells' ability to sense and interpret mechanical signals from the extracellular milieu modulates the degree of cell spreading. However, how cells detect such signals and activate downstream signaling at the molecular level remain elusive. The Ha group utilized a tension gauge tether (TGT) platform to investigate the underlying molecular mechanism of cell spreading. The data from both differentiated cells of cancerous and non-cancerous origin show that for the same stiff underlying glass substrates and for same ligand density, it is the molecular forces across single integrins that ultimately determine cell spreading responses. Furthermore, by decoupling molecular stiffness and molecular tension we demonstrate that molecular stiffness has little influence on cell spreading. 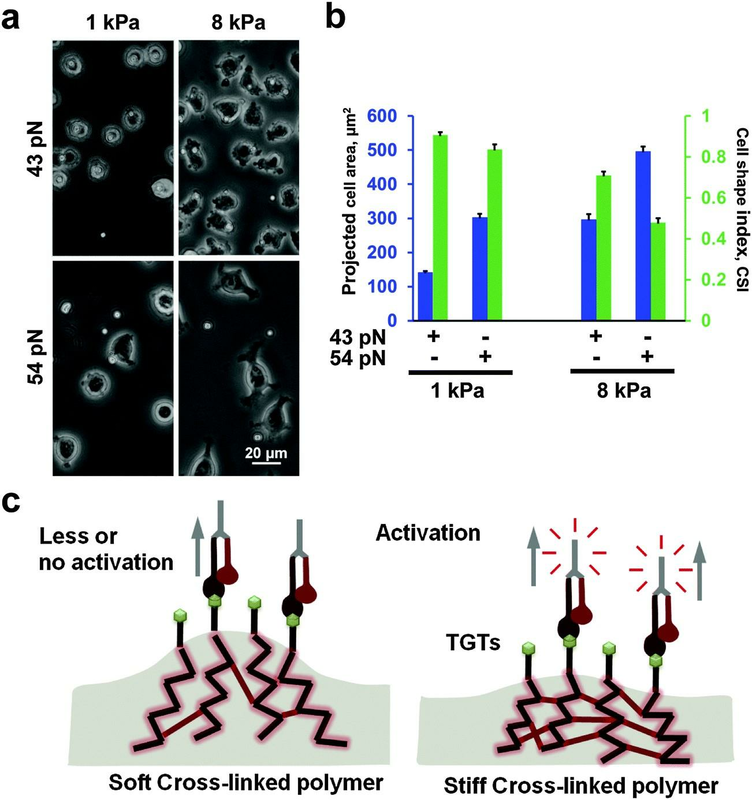 These data provide strong evidence that links molecular forces at the cell-substrate interface to the degree of cell spreading.